April 14, 2010 - PRLog -- A 2009 study from German researchers published in Wien Klin Wochenschr found that in 100 COPD patients who followed a pulmonary rehabilitation program for one year enjoyed a 38 percent increase in exercise endurance, as well as a 33 percent increase in upper body strength and a 54 percent increase in lower body strength. Additionally, studies have shown that upper body strength training helps improve oxygen capacity. A study from Chest found that 21 COPD patients who performed simple arm exercises of lifting their arms 90º in front of them experienced a 29% increase in their volume of oxygen. COPD exercise also relieves stress, improves mood, helps one think more clearly, and most importantly improves oxygen saturation. Getting instruction from a trained expert can dramatically improve one's lung power with medically proven techniques to boost oxygen saturation to a higher level. Since not everyone with COPD has the option to attend pulmonary therapy, Suzanne Andrews, host of Functional Fitness, PBS TV and occupational therapy practitioner with extensive pulmonary rehab experience was prompted to produce Functional Fitness COPD/Asthma DVD with the main goal to improve the quality of life for people living with pulmonary disease. "The key," states Andrews, " is the person has to be committed to doing the program. One gets out of it what they put into it and the sooner they begin, the better off they are." The Functional Fitness COPD/Asthma DVD instructs participants how to strengthen breathing muscles without fancy medical jargon and is an excellent alternative for those unable to undergo a traditional pulmonary rehabilitation program. 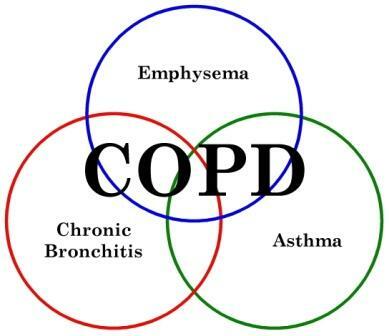 Functional Fitness COPD/Asthma DVD is shipped throughout the United States, Canada, United Kingdom and Australia.